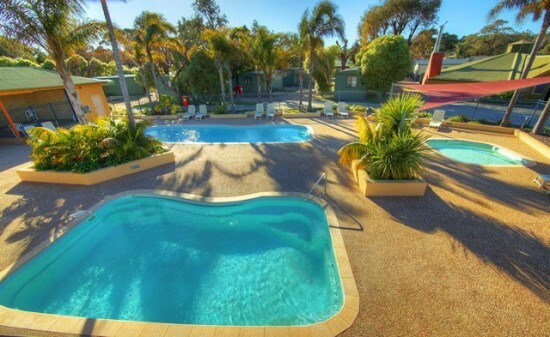 Welcome to Whiters, a BIG4 park consisting of five acres of resort style accommodation and facilities. Situated just two blocks from the main shopping centre and the footbridge that leads to the world famous Ninety Mile Beach, Whiters is your gateway to world class windsurfing, swimming and fishing. With six styles of holiday cabins we're sure to have a unit to cater for your needs, from single bedroom cottages to 3 bedroom villas and for the more adventurous we have sites for motorhomes or caravans.